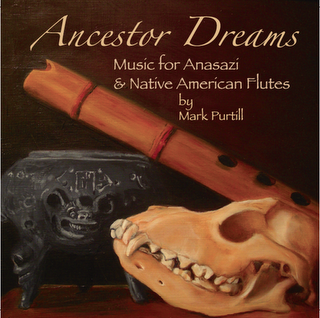 This is my first CD release, a collection of 11 pieces for Native American style and Anasazi style flutes. All compositions are original and range from simple accompaniments to orchestral-style arrangements. Very melodic and good for quiet times of meditation. You can preview sound samples and order it from CDbaby.com, as a physical copy or as an mp3 download. You may also request a signed CD from me for $15.00, postage included. You can e-mail me here.